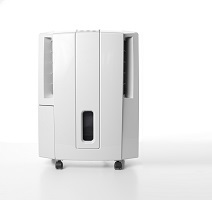 Looking for energy efficient dehumidifiers in Vancouver WA? When your home or crawl space has high humidity, it can be very uncomfortable. Not only can very high humidity levels make it difficult to breathe and make you feel more tired, but it’s a prime environment for harmful microbe growth. Mold and bacteria can quickly accumulate, and if it’s in areas like your crawl space, you could have a bunch of mold and not even know it! Let The Killers Crawl Space Restoration take care of this part of your property for you. With our energy efficient dehumidifiers in Vancouver WA, we’ll help reduce your humidity levels and won’t break the bank doing it! Can you test my humidity levels? When we come to your property, we don’t leave anything to chance. This includes your humidity levels too. Using special equipment, we can test the humidity level of your property. We then take those readings and talk to you and explain whether or not one of our energy efficient dehumidifiers could benefit you. We only use energy star models and place them in the ideal location as part of your service. 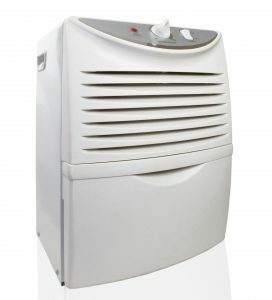 What can a low energy dehumidifier do for me? During those hot summer days, an energy efficient dehumidifier can work alongside your AC unit. Combined, the two can speed up the cooling of your property while reducing energy costs! Your air quality should noticeably improve. This is because humid air feels heavier and sticks more. By reducing the humidity, you’re also cleaning up the air that you breathe in as well! Mold particles are in the air all around us. But by lowering your humidity levels, it is far less likely to accumulate and grow to harmful levels. This should help your food last longer too! Need to attach more crawl space services? We do much more than put in some of the most efficient dehumidifiers around! Our team also does crawl space inspections, cleanups, and repairs too! When you hire a crawl space restoration company, you don’t want someone that will hide down there and leave you in the dark. We make sure to include you on every step of the way. And we never do work without your authorization. If you decide to use one of our many services, we make sure that the job’s done right. Whether it’s vapor barrier removal or putting in new thermal insulation, we want to make sure our work meets your expectations. We’re so confident that it will, that we guarantee it! So choose us confidently, knowing that we’ll take care of you no matter what. For energy efficient dehumidifiers in Vancouver WA and much more, call or contact us today!